Ever since I was little I've suffered with Eczema and dry skin in general, luckily if I avoid certain products it doesn't flare up too often but every now and then it will cause problems and I'll get eczema symptoms again. I've always thought about trying out E45 cream to keep my eczema controlled and to leave my skin feeling more hydrated in general but have never gotten round to it. 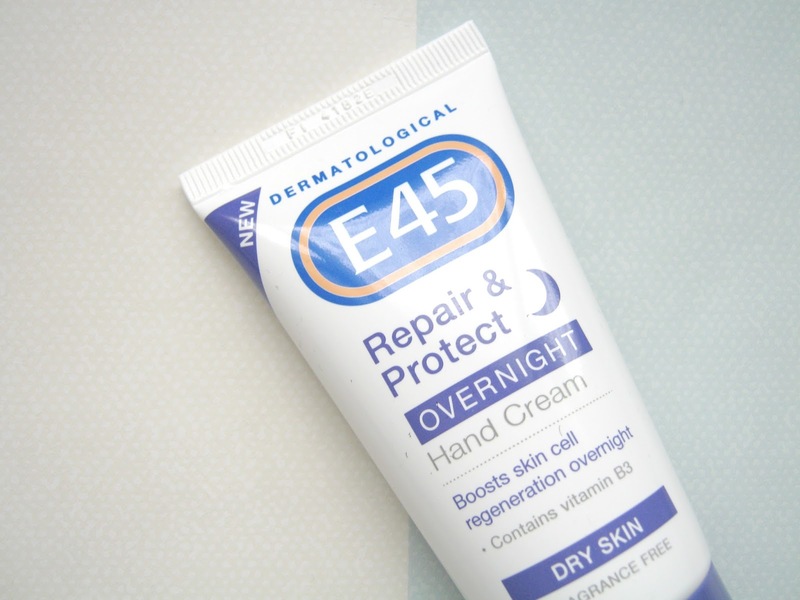 Recently though I've been trying out 2 products from them that I actually hadn't heard of before, I thought that the E45 range was quite simple and mainly based around the standard E45 cream that comes in a tub. I added these products into my morning and night routine about a month ago so I'm definitely ready to tell you all about what I think of them. This is definitely my favourite product out of the two that I tried, I immediately knew that it would be well catered for my skin's needs and was looking forward to hopefully seeing some results. The moisturising lotion is clinically proven to reduce any flaking or roughness which is caused by very dry and irritable skin, it's perfume free and has a gentle formulation so it is perfect for sensitive skin and it's suitable for the whole family. It claims to reduce redness and improve dry skin within just 2 weeks, I would say that is true in my personal opinion. Of course results may be different for you but I found my skin has been feeling a lot softer and places where my skin is rougher and drier have started to slowly improve. This is the first product that I've found to have a long lasting effect on my skin when used regularly, I haven't had any eczema flare up's since using this so fingers crossed that continues, I'll be very happy and impressed if this keeps it away or helps to ease symptoms! If you have very dry skin then I really would recommend this, you don't necessarily have to suffer from eczema or other skin conditions to benefit from this product. It would be a good product to keep in the bathroom cabinet for all the family to use on a regular basis or as and when it's needed. Personally I found this product a little more disappointing but that doesn't mean it is all bad. I'd never seen an overnight hand cream before and definitely hadn't seen claims of a hand cream boosting skin cell regeneration overnight. It's fragrance free and it contains Vitamin B3 which I can only assume is to help repair your skin and protect it. I found it to be a really nice moisturising hand cream but I wouldn't really say it made anymore difference overnight compared to my other hand creams. I didn't wake up feeling like my hands were any softer than if I had used a normal hand cream, even after a few weeks of using it. It is a lovely product, I just don't think it does anything overly fantastic when used as an overnight product. If you're looking for a moisturising hand cream that is good for sensitive and very dry skin then I would recommend it though! I just wouldn't expect overnight miracles. 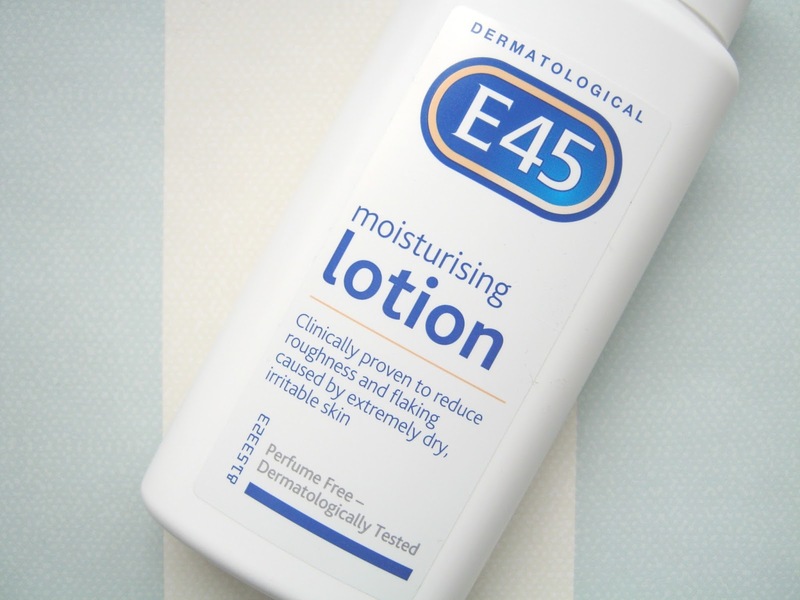 If you are interested in finding out more about the different products that E45 do or want to find out more about how best to help your skin, especially if you have a skin condition then pop over to their website where there is lots of helpful advice and information. 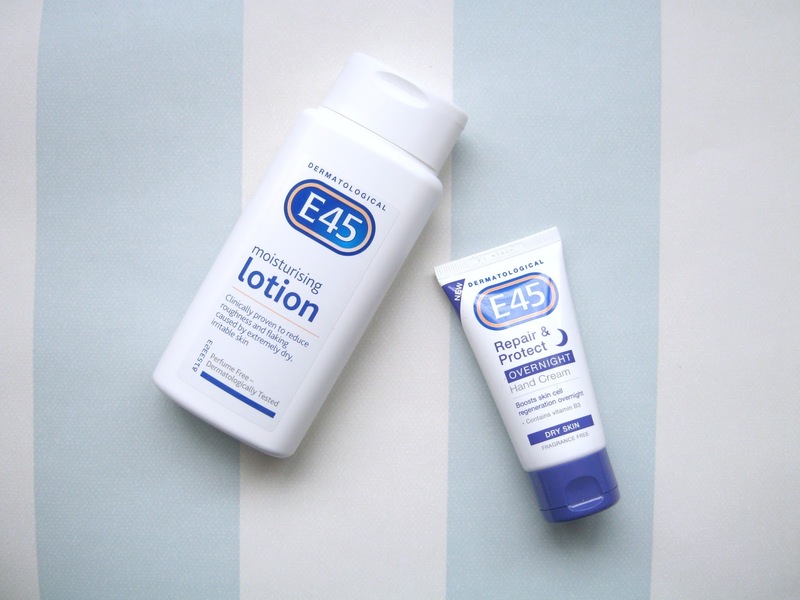 Have you tried any E45 products before? If so, let me know what you thought of them. I'm looking forward to having a look at what other products they offer, I didn't realise the range was more than just a basic moisturising cream!